Instant Car Donation was founded with the goal of bringing donors and local charities together with an efficient and pleasant process. You can focus on deciding which of our respected charities is right for you instead of worrying about difficulties of researching how to make a donation. After your free pickup, we will assist you in recieving the best tax benefit possible for your generous gift. We take pride in helping smaller charities easily receive car donations, bringing people together while helping support those in the Westminster, Colorado community who need it the most. Here are some of our favorite charities in the Westminster area. We have made sure each of them are eligible for tax deductions when you help your local community by donating your car. Your values and choice can make a difference. Big City Mountaineers transforms the lives of under-served urban youth through wilderness mentoring expeditions that instill critical life skills. We partner with community-based youth organizations and caring adult volunteers who act as mentors in the field to help young people realize their potential. Our curriculum improves integrity, self- esteem, responsibility, decision-making abilities and communication skills. We also rely on the support of our Summit for Someone climbers. Our SFS climbers take on two formidable commitments: mentally and physically preparing to climb one of North America's most challenging peaks, and raising thousands of dollars. All to help improve the lives of kids they might never meet. The Children's Museum of Denver at Marsico Campus works to open doors for our future leaders, innovators, and adventurers to explore, create and learn on their own terms. Our target ages are newborn through eight years old, but everyone can have a good time at the Museum! Our exhibits are hands-on, interactive and totally one-of-a-kind. Last year we served more than 359,000 children and their grown-ups. Our mission is to create extraordinary experiences that champion the wonder and joy of childhood. Founded in 1985 by Tom Tillapaugh, The Denver Street School (DSS) is a Christian alternative high school primarily serving the troubled and at-risk youth of the Denver metropolitan area. DSS offers struggling students a second chance to earn a high school diploma through a fully accredited program in a small classroom setting. We believe that a quality education is the most effective approach to transforming many underprivileged members of our society into productive citizens, and serves the population of students in Metro Denver that have struggled with, dropped-out or been expelled from the public school system, helping them toward self-sufficiency through education. Serving the poor globally through safe water solutions. Healing Waters International is a Christian organization serving the poor globally through safe water solutions since 2002. Today we have more than 150 water projects throughout the world and are constantly expanding to serve new countries and regions. Our passion is providing safe water to thirsty communities. We do this by developing low-cost, high-impact water treatment systems that can go anywhere in the world. Each system is accompanied by health and hygiene programs and leadership training to ensure long-term holistic transformation. Promise Keepers (PK) is a Christ-centered organization dedicated to introducing men to Jesus Christ as their Savior and Lord; and then helping them to grow as Christians. This is mainly accomplished through our seven promises and our men's conference ministry. Millions of men have participated since 1990 when PK first began. Promise Keepers is dedicated to igniting and uniting men to be passionate followers of Jesus Christ through the effective communication of the seven promises: honoring Jesus Christ; pursuing vital relationships with a few other men; practicing spiritual, moral, ethical, and sexual purity; building strong marriages and families; supporting the mission of his church; reaching beyond any racial and denominational barriers; and influencing his world. Save Our Youth (SOY) is a youth development organization providing at-risk youth with educational, emotional, and spiritual skills for success through long-term mentoring relationships. SOY has served Denver's urban at-risk youth since 1994. 409 kids, ages 10-17, were served by SOY's mentoring program in 2013. SOY's average mentoring match lasts 42 months while the national average is 9 months. Founded in 2003, Tennyson Center for Children at Colorado Christian Home works with children, youth, and their families to overcome a variety of life crises, including abuse and neglect. As a treatment center and K-12 school for emotionally and crisis-affected children, the Tennyson Center for Children is dedicated to ensuring that these kids have the fighting chance they deserve at a satisfying and fulfilling life. They strive as professionals and concerned citizens to provide competent and caring treatment, education, and advocacy services that are community-based, family-focused, and child-centered. Car donations are the most fiscally accountable method for individuals to create a contribution. Due to this, one of our key aims is to enable those making such a benevolent choice by ensuring that the automobile goes into the charity that best reflects their values. When donating with us we consistently make charity decision an essential part of the procedure. Should you would like us to pick that charity would be helped the most we can do this. It's important to Instant Car Donation which you get the allowable tax deduction advantage possible without needing to navigate complexities or execute research. We pre-qualify all of our 501-3C non-profit charities that are engaging will be tax deductible. The procedure will be streamlined to both you and the charity of your own choice. We will help a 1098-C tax document to you after your donation. There are many charitable institutions, like The Action Center, in your Westminster, Colorado area which could benefit from your vehicle, like a Volkswagen Camper, donation. We not only assist you contribute to a charity, but we concentrate on providing an simple method to regional non-profits that are small that they can concentrate on their important work, to take donations. Frequently the donation will make the biggest difference for such non-profit organizations, like Tennyson Center for Children, bringing together folks while helping to support those in their Westminster, Colorado community who need it the most. Aside from the charitable tax benefit rather than having the hassle of dealing with an older car, such as a Creative Coachworks Creative Coachworks, the sensation of having the ability to help those in need might be the ideal reason to donate your car to a charity, such as American Alpine Club. Another advantage of donating a used auto to charity is the chance to just eliminate the automobile without having to try to fix or sell it. Most charitable automobile donation programs will anyhow vehicles whether they're running or in need of repair. When you decide to create a donation of a old vehicle, when the charity sells the automobile, like your Jeep J-20, for more than $500 they have to send you a receipt that allows you to deduct the sales cost of the vehicle in your tax return. If the old car you decided to donate isn't worth at least 500 USD, then the IRS lets you ascertain the fair market value. This is the value that somebody would be ready to pay for the automobile if buying it from you. You receive the tax deduction, along with the charity either gets to utilize the car, like a Fiat Freemont, sells it and uses the proceeds for the benefit of the charity. That's a win-win for everyone involved. Car donation programs have become more popular in Colorado over the past decade or so, as more charities are looking for new and innovative ways to generate funds. Today, the amount of charitable car donation programs is in the hundreds or perhaps thousands. In case you've got a favourite Westminster charity you prefer to make contributions to, it is probably possible for this charity to get at least a portion of the funds if you donate your used car. Charitable car donation programs enable you to donate your used auto to the charity of your own choice. Visit our charities page to decide on a charity in Colorado to contribute to. Most used auto donation programs will either sell your vehicle to raise funds for the cause, use the vehicle in the daily operations of the organization, or provide the car to a somebody who needs help either at no cost, or for less than the fair market value. When there are lots of advantages to charities that receive donations from individuals, the benefits to the you, the donor might not be too clear. The largest benefit that the majority of folks hear about is your chance for a tax benefit. There are some limitations on this type of deduction, so you might want to talk to a tax pro prior to making the donation. Is there a financial tax benefit for donating my automobile in Colorado? We can ensure your automobile, such as a Volvo V60CC, belongs to some non-profit organization, for example Focus Points Family Resource Center, which is eligible to receive tax deductible contributions and help you recieve a reciept for your donation. You may be able to acquire a tax advantage for your vehicle 18, if you itemize your deductions. For contributions around $500 you're able to use Kelley Blue Book and also for larger contributions the charity needs to confirm what they recieved for the automobile donation (more info). 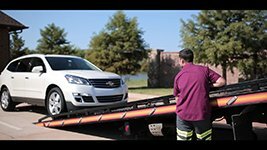 We'll arrange a tow truck to come get your car and deliver it to the non-profit organization, such as Focus Points Family Resource Center, of your own choice. It couldn't be simpler to help the charity of your choice now! Do you accept donations for vehicles that are damaged or lost parts? Absolutely, we take automobiles in all conditions! Go to the form and submit your request to donate, and our Westminster team will quickly see what we are able to do for you. Would you help me locate a Westminster non-profit organization that fits my personal values? We'd really like to help you make sure that your donation goes to your cause in Westminster you care about by helping you pick a charity, such as Promise Keepers, that satisfies your personal values. This is so important for us we do so each single time you contribute with us! Who can I donate my car or truck to in Westminster? Instant Car Donation proudly supports several respected national and local Westminster organizations in the area. We work hard for you to ensure support is recieved by the organizaion for your vehicle. All owners around the car title must finish the part of this title tagged "assignment of title by owner" or "transfer of ownership by seller". Most states require registering and printing owner names. You should fill out any fields that require documentation concerning a buyer/purchaser/transferee with information. You might find detailed directions for your home state here. First we will contact the non-profit organization of your choice (or pick one for you whether you requested that rather than picked) to make certain they want your vehicle, such as a Cadillac Escalade EXT, which takes about one business day. We'll arrange to come to you for pickup. If it is taking a little more time feel free to contact us. Do you have a car, like a FortuneSport VES Rt.S, just sitting in your garage or on your driveway that you've been meaning to get rid of? Maybe you believe it is too outdated, or it is in need of repair or refurbishing. Many of us are willing to depart an unnecessary car sitting in our garage or our driveway for a long time without even spending time or cash to repair it. So that car sits, and sits and sits. Let's be fair. Are we really going to put in money and time to fix this car? If we were, wouldn't we have done it? Not only is that this old car an eyesore, but we're also missing out on the chance to apply this valuable resource to enable a charity such as United Way of Bucks County! One man's crap is another man's treasure, so they say. This is surely the case with car donations. A car, including a Volkswagen e-Golf, which is unneeded by you can supply just the ideal amount of funding to a charity in Westminster or beyond to fulfill its funding to get a present or future project. When you donate your vehicle, you're giving a precious treasure to a charity, as your donation permits them to continue their important work locally. Save Our Youth in Westminster, Colorado is such a nonprofit. Its call to action is directly encouraged by your contribution--you can help the charity of your own choice, like Tennyson Center for Children, to extend the breadth and reach of their great actions from the neighborhood! We pride ourselves in assisting you to convert your unwanted auto to real treasure! Click the donate button today to start the process. When you tell us which you are prepared to donate your vehicle, we will arrange for a completely free pickup in Westminster or the regional area and sell your car. All you will need to do is let us know which admired charity meets the phone of your spirit, and we'll finish up. The very best part is that while you receive the benefit of clearing out old, unnecessary junk, you also get to offer funding to the charity of your choice, such as Downtown Cleveland Alliance, and ultimately, you receive the most tax benefit for your contribution. We'll provide you with a tax receipt for your contribution, and also make sure that the charity of your choice receives your donation as well as the mandatory IRS paperwork to accept your contribution. Have you been considering donating a car in Westminster, like a Isuzu IMPULSE, but wondering what impact this may have for the charity of your own choice? If this is the case, keep reading to see how your automobile donation in Westminster may be a real difference and influence on small and medium-sized charities like Save Our Youth on your area. One of the largest challenges for smaller businesses with a few or no paid staff is the best way to improve their funding and preventing volunteer burn-out. Big City Mountaineers in Westminster, Colorado, is a non-profit. American Indian College Fund's assignment is performed by many volunteers. Because nearly all work is carried out by volunteers, the charity's projects are performed by volunteer staff, many of who lack skills which the non-profit needs to flourish. In actuality, many times that the details of fundraising efforts are determined based on who's available to carry them out, instead of what would be the most effective approach to fundraise. Should a small nonprofit like Rocky Mountain MS Center be able to be given a auto donation, such as a Nina 4 Door Sedan? We think so! But what about all the logistical service, time and money that is needed to arrange the tow truck along with the selling of your automobile with an auction? It seems improbable that a charity such as this would truly be able to take on selling your preferred car, even if you opted to donate them. That is where we all come in. We associate with any and each non-profit who wants to receive a car donation, such as Save Our Youth, and provide our expertise and help in calculating the car donation. Then, we be sure that the charity gets the maximum donation it could receive so that it may boost its operating budget and finance new and current programs. Your car donation may be worth a few hundred or even a few thousand bucks or more, based on the car that you donate. Though it might not look like a great deal of cash, it is an unplanned windfall for a small or high-income charity like American Indian College Fund. Still contemplating donating your vehicle to a charity in Westminster? We can assist! Just click on the donate button and let's know that you are, and we're going to arrange your free pickup and to sell your vehicle. We will also get hold of the charity of your choosing, and ensure that they get the money they need to continue their great and important function in our local community.